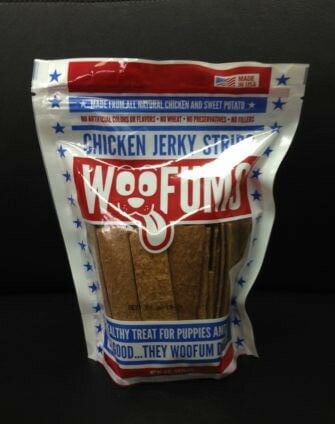 Packaging Pet Supplements - What Are Some Primary Options? Packaging Pet Supplements – What Are Some Options? In much the same way consumers embrace healthy lifestyle alternatives for their own well-being, pet owners also believe in the benefits of various supplements. And because animals are often treated just like any other member of the family; the pet supplement industry now represents big business. Growth continues to advance despite slowdowns in other retail segments, because pets are living longer and attitudes about pet care now emphasize good health. As the number of pet supplements on store shelves grows, packaging plays an important role promoting sales. Pet supplements are generally categorized as therapeutic and dietary aids given to domestic animals, promising various benefits. Though the supplements are most often associated with dogs and cats, birds, fish, reptiles, and small animals may also benefit from these healthful dietary additives. Pet supplements address wide-ranging pet health concerns, promoting healthy UT function and calm disposition, for instance. Various vitamins, glucosamine, omega 3 and other proven substances are integrated into these progressive pet health solutions, boosting general health and vitality, as well as targeting specific conditions. The market growth for pet supplements opens exciting opportunities for packagers prepared to meet the challenges of the expanding industry. The following packaging solutions are well-suited for liquid and powder pet supplements, as well as pill and capsule versions. Colored PET or HDPE plastic bottles with full wrap-around labels are commonly used liquid bottle filling of pet supplements. Fill volumes for these applications typically fall between 6 and 12 fluid ounces, depending on dosage recommendations and frequency of use. The bottles are popular with pet owners, because they can dispense precise doses, using an eye dropper style cap. Full wrap labels present lots of room for graphics and text, but you may choose to add a retail carton, increasing the billboard area available for sharing brand messages. The bottle label and retail box surfaces can also imprinted with the ink-jetted date and lot codes required for traceability. In addition to liquid doses, pet supplements are also sold in tablet, pill and capsule form. Traditional plastic and glass bottles furnish straightforward, cost-effective packaging solutions for these types of pet supplements. The size and capacity of the bottles are important merchandising considerations, so your desired “fill count” helps guide you to the best bottle or bottle/box combination for your packaging project. Once filled to the proper count, pill bottles are generally topped-off with cotton filler, protecting the contents from breaking or cracking during distribution. In addition, desiccant is recommended inside each bottle, absorbing unwanted moisture that can damage or dilute the supplements. After it’s filled and prepped for shipment, each bottle is finally secured with a compression or induction style seal. The compression version is affixed with adhesive, while induction sealing requires exposure to a special machine, which “microwaves” the material until it’s secure. Both types of seals keep contents fresh and provide tamper evidence for consumers. 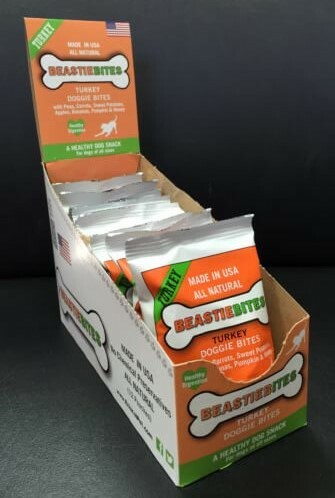 Pet supplements require unique packaging solutions. Packing in pouches or “sachets” furnishes an ideal approach for marketing these products. The practice is gaining popularity as consumers embrace the clever concept. Sachet sizes vary, but a smaller pouch generally has better merchandising potential than large sizes do. Your contract packaging partner can assist with technical recommendations for each project, helping to optimize film structure and pouch size, based upon fill weight requirements, bulk density of the product, and the graphics scheme you’ve chosen. At the retail level, chipboard counter displays prove effective for merchandising individual pet supplement sachets. The 12- to 24-piece units are ideal for countertop dispensing. Packaging in larger retail cartons provides another effective marketing solution, sending buyers home with a one- or two-month supply of 30-60 sachets. In either application, appealing graphics elevate merchandising and spur sales, including a slick UV coating on cartons, distinguishing them from others. Foil blister packs furnish another effective solution for packaging supplement pills and capsules, as well as chewable pet snacks. The blister packaging method incorporates a rigid structure with cavities, backed by a foil layer. The pet pills and snacks are dispensed one at a time, from each reservoir, by pressing them through the foil backing. One or more of the sheets are commonly enclosed in a chipboard tuck-tab box, expanding the billboard surface area. The secondary packaging layer can be used to share graphics and copy about your brand. As families continue to embrace the health benefits of pet supplements, the most effective producers and packagers align with industry trends. For the best results, identify your target market and craft packaging solutions that speak directly to the needs and values of pet owners. The most effective designs instill consumer confidence and help your products stand-out in this $580 million (2016) industry. Although pet product packaging is not regulated by the FDA, there are standards to meet when bringing pet supplements to market. Not only must all the ingredients be listed, but the product cannot contain substances recognized as health threats. In addition, each package label should include the manufacturer’s name and contact information. The most effective pet product packaging instills consumer confidence and sends the right messages about your brand. Whether you are new to this exciting market or simply refining your approach, experienced packagers are prepared to recommend the most effective methods, materials, and merchandising strategies for your pet supplements. In addition to driving sales, partnering with a trusted turnkey contract packaging company can help you save money on the design and pack-out phase of your next project.